Choose a service time. Christ Lutheran offers worship service every Sunday at 9:00 a.m. and Saturday at 5:00 p.m. in the sanctuary. While both services are similar in content, Saturday's service combines traditional and contemporary worship while Sunday's service is traditional. After Sunday's service join us for coffee and doughnuts in the Fellowship Hall, and then attend Sunday School for grades pre-3 through 12 and Bible Study for adults. Find the church. Christ Lutheran is located on 1930 Diffley Road in Eagan. You will find plenty of free parking with several spots for handicapped accessible parking. Questions? Please call us at 651-454-4091. Get settled. At Christ Lutheran Church, you will find people of all ages and walks of life. An usher will give you a program, which includes church news and announcements, as you enter the sanctuary. The sermon. Our pastor delivers relevant sermons that are based on Biblical teachings. On Sunday, the pastor also delivers a short message just for children as they gather around him near the altar. Previous sermons are available on this website. These sermons will help you grow in the love of God in Jesus Christ. Communion. Communion is offered on the first and third Sundays of the month at 9:00 a.m. and on select Saturdays of the month at 5:00 p.m. If you are unable to walk to the altar and kneel to receive Communion please let one of the ushers know and the pastor will come to you to serve Communion. For young families. If your young children start to fuss, it's easy to take them to the Little Lamb's room (see right) near the entrance to the sanctuary. 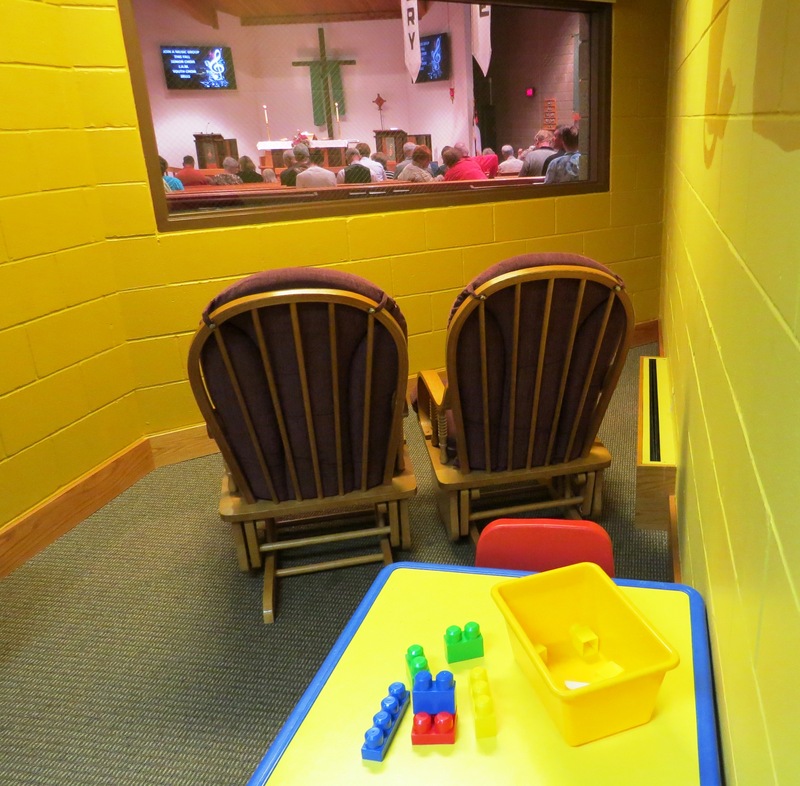 You'll find toys and books appropriate for your toddlers while you listen to the worship service through the room's speakers. A diaper changing station is available in the women's bathroom on the main level and the men's bathroom on the lower level. Enjoy coffee and fellowship. After Sunday's worship service, please join us in the fellowship hall for coffee, doughnuts and community. Attend Sunday School or Bible Study. From 10:15 a.m. to 11:15 a.m., children from preschool through high school can learn more about the love of God in Jesus Christ by attending Sunday School.